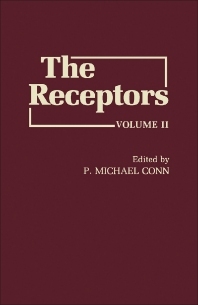 The Receptors, Volume II deals with receptors for somatostatin, vitamin D, insulin, and animal viruses, as well as for the ?2-adrenergic and Ah systems. The significance of translational modifications of receptor ligands is discussed, along with the mechanisms of receptor-ligand interactions. The role of receptors in development and their regulation by tumors are also considered. Comprised of 12 chapters, this volume begins with a detailed account of the vitamin D receptor, paying particular attention to its biochemical and physical properties as well as its mechanism of action. The discussion then turns to experimental discrimination between alternative mechanistic models for the receptor-mediated stimulation of adenylate cyclase; the role of microaggregation in hormone-receptor-effector interactions; and the biology and biochemistry of the Ah receptor. Subsequent chapters explore the interactions of animal viruses with cell surface receptors; insulin receptors; determination of the size of neurotransmitter receptors by radiation inactivation-target size analysis; and protein glycosylation and receptor-ligand interactions. This book will be a valuable resource for students and practitioners in fields ranging from cell biology and biochemistry to physiology, endocrinology, and pharmacology. III. Is the Receptor a Catalyst or a Reactant? IV. What Are the Functional Relationships Between R, N, and C, and How Are They Affected by Agonist and Guanine Nucleotide?